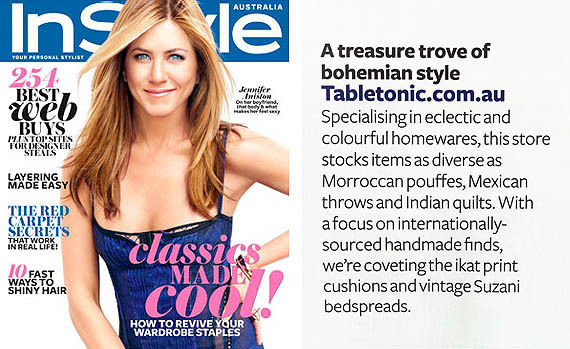 Table Tonic makes in InStyle mag's "Best of the Web"
The April issue of Aussie InStyle magazine is on sale today and I was a little bit chuffed to see they listed the Table Tonic online store in their Best of the Web special! Woohoo! PS Thanks for the heads up B!